James Stack of InvesTech Research looks at past bear markets and recessions going back more than 82 years. The details of his findings? • Generational bear markets, with losses exceeding 40% are the exception, not the norm. 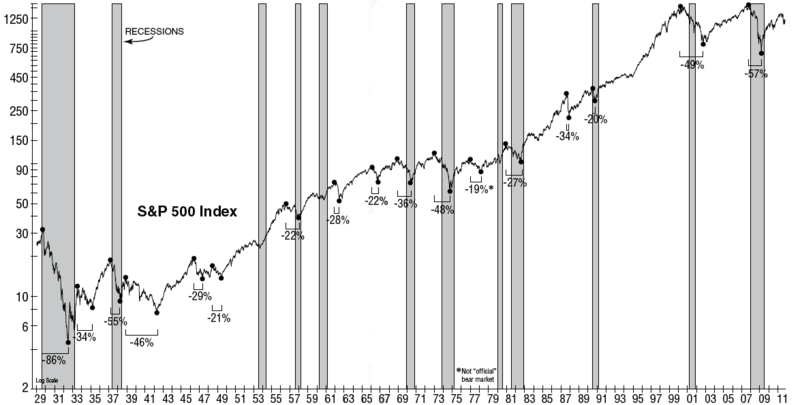 Since 1940, only one in four bear markets reached such a loss. One thought on this: The fear of another giant bear market — of another 50% loss — is likely due to the recency effect and the aftermath of 2007-09 as much anything else.